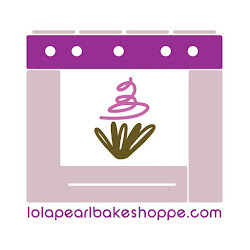 Lola Pearl Bake Shoppe: Stuffed Chocolate Chip Cookie Dough Cupcakes! One road to our hearts is most definitely sprinkled with chocolate chip cookies. Add chocolate chip cookie dough filling and cream cheese frosting to chocolate cupcakes, and you've got yourself a supreme cupcake! The cupcake market in Buffalo is certainly on the rise!